You’ve identified a lead which appears to be a strong fit for what you do, but when you reach out to them they just don’t seem interested. In my last post, when I was explaining my take on example leads, I noted a lead which was a strong strategic fit and potentially a high value customer, but demonstrated a low amount of interest. I suggested you work to build interest. If yours is a new or small company, you may have most of your leads fall into this category. The market segment you wish to serve may not know you or your company. To understand to fix, understand the problem. Likely you are dealing with people who at first see you as a stranger. We are all different but some people may be slower than others to trust you, your product or service, and your company. It may take you time to build familiarity, knowledge, and finally enough trust to make a purchase. 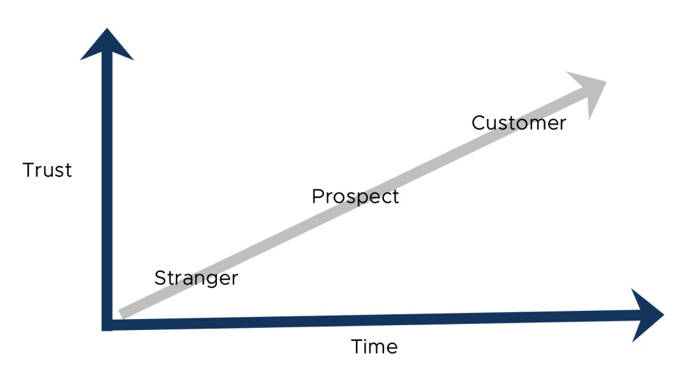 Figure 1: TIME is the element most necessary to build trust with leads. It would be a mistake if you immediately give up your pursuit of leads which seem uninterested but a strong fit. View them as not interested … yet. First of all, establish your own mindset. Your job is to build trust, not to see yourself as a victim of a “lack of trust”. If your trust-building efforts seem to be insufficient, it is your job to pivot on your tactics. Keep in mind you are managing a process. Be sure you’re personal online profiles align with what you do. Assume that your lead is going to assess your company and assess you. Solicit endorsements from other customers and put them on your website and personal profiles. These days, the first part of anyone’s diligence involves online searches. Control what they find. Be persistent with your digital media efforts such as blogs, postings, newsletters, and all social media campaigns. Many business people foolishly abandon their online marketing efforts before they give them a chance to succeed. BNI, an organization devoted to personal referrals coaches their members that it typically takes 9-12 months for others to give you referrals. I believe this is about the same amount of time you should see necessary for online content to be valuable to you. Promote content which adds value. Helpful hints about your business for example. Establish your industry knowledge. If you are pursuing high-value customers, consider doing events such as a “Lunch and Learn”. These serve two purposes as they enable customers to see you as a person as well as an opportunity to demonstrate your industry knowledge. Enjoying this content? Click here to read the previous article in this series. About the Author: Bob Kroon is a coach for high-performing Founders, CEO’s, and Owners. He founded Expeerious, LLC (expeerious.com) in 2015 to exclusively focus on coaching the success of Top Executives. For over 25 years, Bob served variously as CEO, COO, Division President, and Group Vice President. The majority of his career was in manufacturing durable goods. Bob is an enthusiast and practitioner of Lean Thinking since 1986. He also has broad skills in M&A including financial modeling, deal structure, diligence, and post-close integration. Bob’s current clients are diverse and include businesses in healthcare, agricultural products, robotics, luxury goods, and education. To learn more about how Bob coaches and thinks, you can find over 200 questions he’s answered on Quora. Visit his website at: www.expeerious.com for additional blog posts.